“A few years ago me and my partner Marco decided to host travelers in the farmhouse in which we live. Hence, the bed and breakfast “Il bosco delle terrecotte” was born. We are located at about 600 meters in the municipality of Barge, in the province of Cuneo, just a few kilometers from the town of Saluzzo, from the Abbey Staffarda and from the beautiful scenery of Mount Viso, “il Re di Pietra” (the Stone King), as we call it. Here you can spend either a cozy and relaxing holiday, or a more sport-oriented one. In summer, the mountains and cliffs of the Po Valley offer hiking and climbing way suitable for beginners to the more experienced climbers and mountaineers. In winter, the same areas, including the extraordinary massif Mombracco are easy to walk with snowshoes. From there you can also make a visit to the south-western Piedmont, reaching Turin, Cuneo, Langhe, and more. 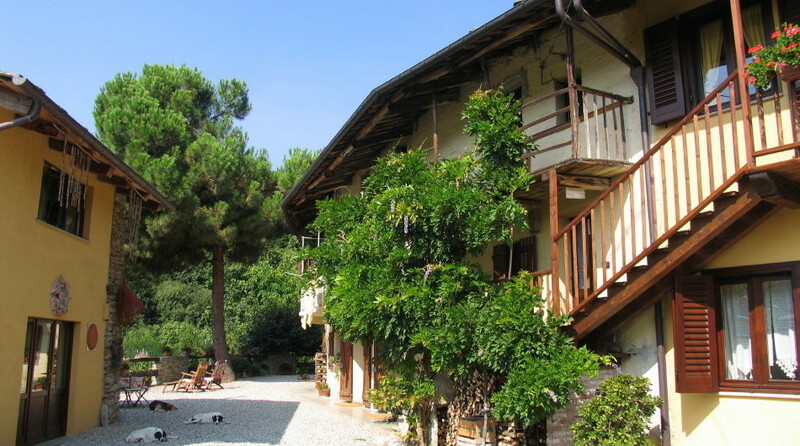 Il Bosco delle Terrecotte offers comfortable rooms immersed in the stillness of the vineyards and the woods, the ability to make bread in a wood oven, to taste many specialties of the area and, the real “peculiarity of this place”, the clay and raku ceramic workshops.